Our trainers are experienced at teaching classical and conventional methods, as well as conducting trainings in an agile environment. 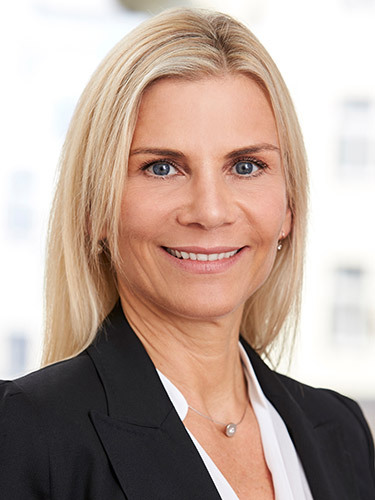 Each trainer has many years of professional experience in numerous projects as well as a broad and deep professional, technical and didactic expertise. 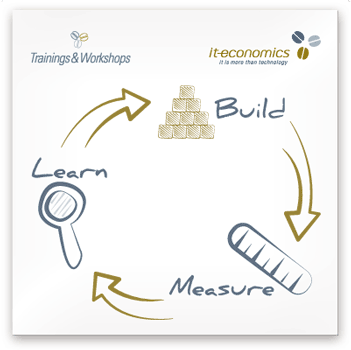 At it-economics, experienced practitioners train - this is what makes our workshops outstanding and we are proud of it. Our trainers offer concrete, immediately applicable knowledge and show practical skills in playful, relaxed group settings and interactive project simulations. Our goal is your success in agile transitions with up-to-date training documents and directly approachable trainers and coaches. Above this, we provide advice and support after the training too. Trusted Advisors. We offer open trainings for companies and individual training sessions on-site, tailored to your needs, in your office rooms. Whichever works best for you. Contact us! »In a Nutshell« is our playful format in a bite size format: in half a day you will experience, through practical action and various exercises, principles that drive agile methods. With LEGO® or other materials, you can directly learn how agile collaboration works in project simulations. Apart from this, you will get to know about essential concepts, wordings and methods. With the experience from this workshop you are prepared for your first real life agile project. Scrum - you have perhaps heard or read about it? Maybe you already gained some experiences with it? Now we're getting serious: how is it to work in a Scrum team? How is it different from conventional 'waterfall' environments? In this orientation workshop, you will immerse yourself deeply in Scrum through a playful project simulation with LEGO®. Expect no less than an intensive experience and a lot of fun: you will see how agile work is organized with Scrum, where the differences to traditional methods are and what makes Scrum so successful. We offer scheduled trainings open for individual bookings via Eventbrite. If there is no training scheduled or you wish to organize a group trainings for your company please contact as via our contact form. Are you working in a company or a project with a classical, phase-oriented work organization, however, considering a change to agile methods? Kanban is a tried and tested entry into new forms of interaction, adapts to existing organizational forms and requires less radical changes than Scrum. In a tangible project simulation, supported by LEGO®, you will learn how to use simple means and rules to identify bottlenecks and organize workflows more efficiently. You have project experience with Scrum, first certifications to the ScrumMaster or Product Owner, and now want to extend agile models to enlarged networks or bigger projects in your company? Large Scale Scrum (LeSS) is the robust framework for scaling up further. Through games based but yet realistic simulations with LEGO®, you will be able to find out how several teams can develop agile and successful solutions together. DevOps is a logical extension of agile methods in operational businesses. In doing so, the conventional boundaries between development and operation are displaced and the skills of specialized teams are integrated. If this synthesis is successful and with a greater understanding of the mutual needs, better quality and productivity can be achieved quickly. Find out what factors make successful DevOps teams and what to consider when integrating DevOps Team, through a challenging project simulation with LEGO® and other materials. Our workshops, project simulations and seminars are based on 'Learning by Doing': we believe that self-help encourages sustainable and tangible learning. In 2-day intensive workshops we simulate project situations. With up to three coaches, small groups or larger groups of up to 25 participants, people can be closely looked after. We train specific roles and tasks, go through realistic processes from beginning to the end, and 'stress' you with equally realistic challenges and 'impediments', disturbances and ever growing needs of your 'stakeholders'. You do not have much time to relax. We want you to finish our courses with all the skills you need in your company or project. Ideas, new products, services and and solutions is your topic, innovation your first name? Welcome to design thinking, a structured approach to the methodical development of new, often surprisingly simple ways. In the course of this workshop, you will learn how design thinking helps to organize creative processes to meet a particular goal: from the clear analysis of the initial state to the opening of a solution space and the development of creative approaches. Your daily challenge is the development of products or solutions under blurred conditions, if not everything is known or researched, what should you do? No matter what organization size, in a start-up or a company group, digitalization increases. There is pressure on innovation and competition dynamics in all sectors, and new competition invades the market from unexpected directions. Lean Startup is a lean and robust method to quickly identify user and customer needs, to organize them into essential and nice-to-have features, and to derive and evaluate pragmatic development steps and boundary conditions from a realistic perspective. You will notice how, under the pressure of time and results, your programming style will not improve, as you would like it to. You are finding elegant solutions but do not get closer to your own requirements? No worries, this is similar to all ambitious software developers. Constantly, new tasks, frameworks and requirements are quickly growing at the expense of clean code: You are not alone. The it-economics coding dojo is a popular way to learn new tricks and secrets, clean code rules and procedures as well as new programming techniques. All trainers are self-experienced and active developers. You already have knowledge and project experience with agile methods and would like to deepen your knowledge and make it visible through a certification? Benefit from the extensive experience of our trainers and build your knowledge to perfection through best practice from numerous projects and our interactive learning methodology. Are you already working on a Scrum project or are you about to? In addition to meaningful and necessary theoretical knowledge, you also want to understand and experience practical skills and an understanding of the role of the ScrumMaster? Or you have already experienced everything and want to present your knowledge with an official certificate - in any case, our ScrumMaster training (ScrumAlliance®) is the right thing for you. This seminar is about a central role in the scrum setup: the product owner or PO, its tasks and responsibilities towards development teams and stakeholders. The simple values, principles, roles and practices of agile methods are summarized and practiced with group exercises and simulations. This course is about a deep and broad understanding, an 'agile attitude' with which a PO can successfully shape a project. Gaining an official CSPO certificate (Scrum Alliance®) is part of this course.